Recently, I did an XLB crawl in Richmond with Grace (for the 365 Days of Dining) and we ended things at R & H food stall in Landsdowne. Originally, I had planned to hit up R & H for a full meal of sorts after we were all done with the XLBs. I guess our eating prowess wasn't that of Mijune or Emily, hence, we called it quits after that. However, on another night, while I was in Richmond alone, it seemed like a good idea to hit up the place for some dinner. That I did all by myself, which worked out fine at the food court. I began with an appie in the Beef Pancake Roll. It looked pretty appetizing with its flaky and browned exterior. Beyond that, the pancake was a touch doughy, yet soft and warm. It ate fairly dry since it wasn't greasy and the amount of hoisin was not significant. Hence, the flavours were mostly the slight smokiness from the exterior. Inside, there was a modest amount of thinly sliced shank. 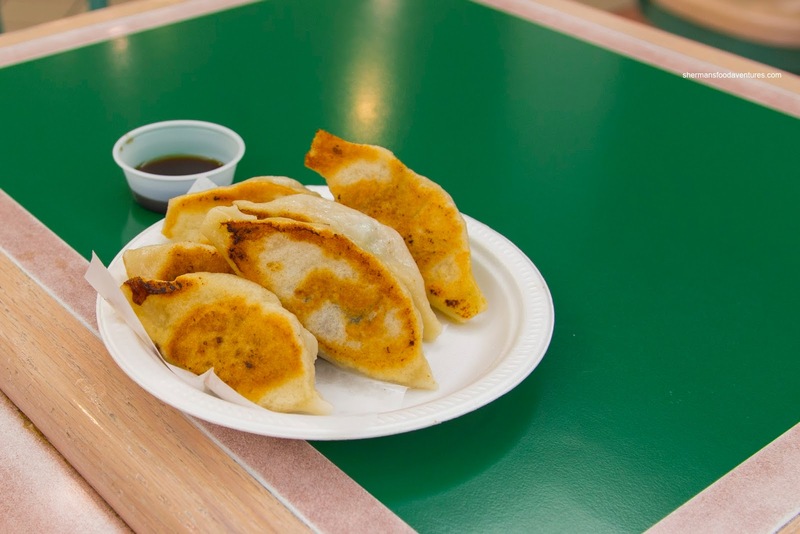 Interestingly, I found the Potstickers superior to the XLBs, by a long shot. They featured an adequately browned bottom that was somewhat crispy (but not greasy). Inside, the meat filling was rather green-onion dominated, but it still tasted good. There was a discernible amount of soup inside which was meaty and sweet. 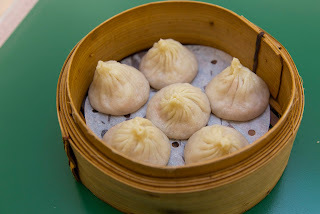 I liked how the dumpling skin was thin throughout and not doughy. 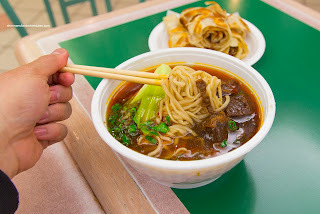 As for my Spicy Beef Noodle Soup, it was more sesame-oil heavy than chili oil. Hence, the soup was aromatic from the oil, not from the inherent flavours of the broth. I found the broth to be okay, but hardly impactful. The noodles were soft, with a light chew akin to yee mein. The 3 meager pieces of beef were fatty and somewhat tender with some dry spots. 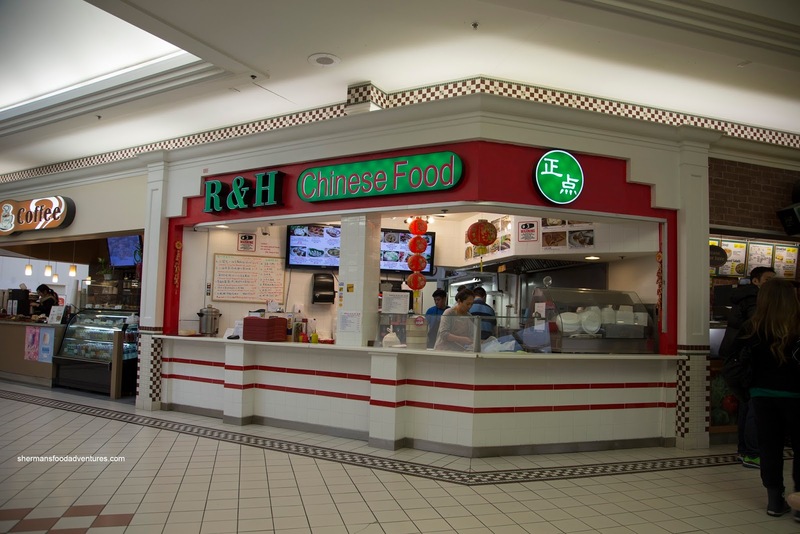 Overall, the 4 items I tried at R & H were decent, if not unspectacular. 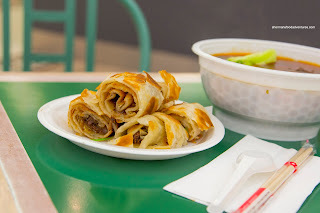 Not that I didn't like the place, it just might be a victim of, "oh, it's in a food court and must be a hidden gem" way. So with reasonable expectations, you can get a good meal here.